Welcome to Land Rover of Tacoma, located in Fife, Washington. Thank you for visiting our web site! Please take time to browse around and become acquainted with the many features we have added. We're working hard to make this site a great place to visit Land Rover of Tacoma on the Internet, and to provide you with a quick and easy way to get things done, like scheduling an appointment for service, or to speak with one of our highly trained sales staff. Whether you are contemplating owning a Land Rover or you're already a proud owner, we know that you have the highest expectations of the vehicles you drive and the people you trust to help you out. Our teams consist of people who care and who take the time for on-going training to be certain we're able to meet your needs with full confidence, providing the highest quality and user-friendly service available in the Pacific Northwest. While visiting our site you can email us, or ask for pricing information, schedule service appointments, or order parts and accessories for your Land Rover. There's a lot you can accomplish right here on our web site, and once you've narrowed down your wants and needs, we invite you to visit our dealership where we offer a state-of-the-art showroom that you're bound to feel as comfortable in as your own living room. You'll notice that our award-winning service department takes special pride in their skills and knowledge of our customer's vehicles. Please enjoy the rest of your visit with us here on the World Wide Web and we look forward to helping you with all of your automotive needs now, and for many years ahead. When you walk into our dealership, whether to purchase a vehicle or visit our service department, you should feel like a guest in our home. Please contact me directly if you ever feel we could have done better, or if our staff has not addressed your concerns to your satisfaction. We can only continue to improve with the help of your feedback. Since its founding, the Land Rover brand has been recognized for building dynamic, powerful vehicles that last. It's dedication of Land Rover to exceptional quality and reliability that continue to make it a leader in the auto industry. Land Rover is our passion and we are proud to carry all the latest vehicles and offer genuine Land Rover service. 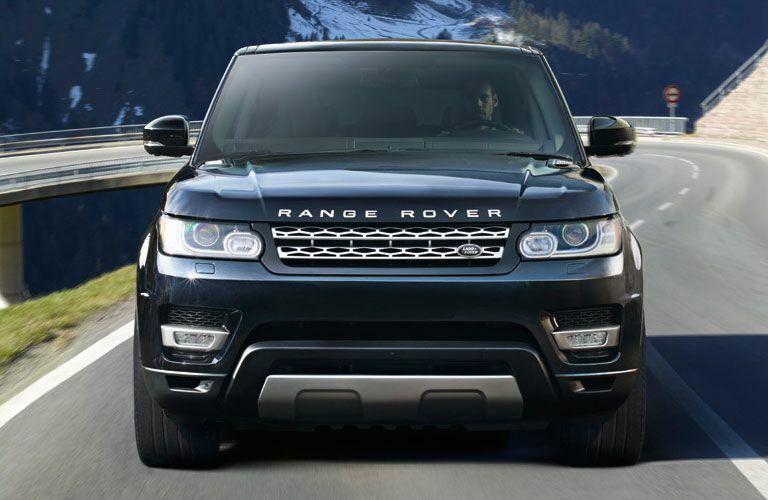 In addition to our new vehicle selection, we also carry an extensive array of Land Rover Certified Pre-Owned vehicles. Have something else in mind? Explore all the options available in our pre-owned vehicle inventory. Are you interested in trading in your current vehicle in for something new? We also buy a variety of different vehicle makes and models at fair market prices. Contact our team today to get a quote or visit our trade-in calculator to determine the fair market price of your vehicle in minutes. Truly, Land Rover of Tacoma is the place for all things Land Rover in the Tacoma, WA, area. If you're looking for a new or Certified Pre-Owned Land Rover we hope you will consider visiting us. Not only does our extensive new and pre-owned inventory leave plenty of options for the car shopper, but we also offer financing. We work with a variety of different lenders and financial institutions in order to give our customer plenty of financing opportunities. Come see for yourself why Land Rover of Tacoma is the place to buy, finance and service a Land Rover in the Tacoma, WA, area. To get started, we encourage you to browse our inventory or stop by and see all that we have to offer in person today!